Pflugerville Locksmith Pros is a company that cares about putting our customer first. We work hard to make sure that your lock needs are addressed in a quick and simple manner. We offer a fast 30 minute response time, and you can count on our lock experts to come equipped with first-rate equipment and tools. Whether you are dealing with a lockout issue or need to have your locks rekeyed, we are the company to call for peace of mind. One of our most popular automotive locksmith services is for car lockout assistance. Since we are a mobile locksmith, you can count on us to come to your location as quickly as possible. Our friendly and helpful technicians will work fast to get you back into your vehicle. 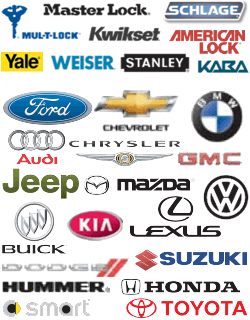 We also offer ignition repair, glove box lock repair, trunk lock repair, and more. If you need new keys, we can help with that as well. And we can replace all types of keys include laser cut, transponders and car fobs. There are many different commercial lock services to choose from. It is important to choose the right type of lock system for your business so that you know your property is secure. You can pick out high-security locks to make sure that no one can gain entry to your property without your consent. A master lock system is always a good investment because it will allow you to get into every room of your building, and you can still limit access to others who hold keys to certain areas. Automatic door closers, magnetic locks, and other lock accessories can help to keep your property secure as well. From lockouts to upgrading locks after a break-in, our residential locksmiths know what to do to make your life easier. We can also help with broken key removal or spare key services. We want to do what it takes to make sure that your home is safe from intruders whether you are away on a trip or sleeping peacefully in your bed at night. You deserve to have peace of mind that your locks are high-security options that will not be easy to pick. In an emergency locksmith situation, you should only call a professional company that knows how to get the job done right the first time. From home, car, and office lockouts to burglary lock repair, we are here for you. Our job is to make sure that your locks will keep you safe and to make sure that you a happy customer. We offer a wide range of lock services. We can take care of new installations, lock repairs, rekey services, lock changes, and more. Let us tell you about all of the high-tech locks available so that you can decide which one will work best for your needs. Pflugerville has a rich history and we are so proud to be a part of this community! When you need emergency assistance or any other type of locksmith service, we can help. We are a local locksmith with a high customer satisfaction rating, and we look forward to taking care of your needs. About Us https://pflugerville-locksmith.co/about-us/ 4.0/5 based upon 52 reviews.